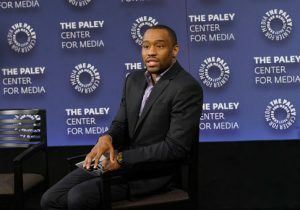 Liberal CNN commentator Marc Lamont Hill praised a convicted cop murderer and wanted terrorist in a series of tweets Sunday. Hill celebrated the 70th birthday of Assata Shakur, who changed her name from Joanne Deborah Chesimard, calling her a "queen." He also wrote two quotes from Shakur with the hashtag "#AssataTaughtMe" beneath them. is from a different world. at my peas and rice." In actuality, Shakur is a convicted bank robber and murderer. In 1973, she and two other members of the Black Liberation Army opened fire on a pair of New Jersey state police officers, wounding one and killing the other execution-style. The fallen officer left behind a widow and two children. Four years later, Shakur was found guilty of first degree murder, assault and battery of a police officer, armed robbery, and several other crimes. She was sentenced to life in prison. In 1979, Shakur escaped prison and fled to Cuba. The FBI has placed her on its list of "Most Wanted Terrorists," offering a million dollars to anyone with information that leads to her recapture. Hill has a long history of supporting Shakur. In 2009, he published a letter from her on his website with the foreword, "Let us give thanks for her life and her sacrifice." Hill's defense of Shakur and other cop killers eventually lost him his job at Fox News. His birthday tweet came the same day that the official Twitter account for the Women's March praised Shakur. March organizers refused to back down under fire, defending the tweet and saying they "respect and appreciate [Shakur's] anti-racism work."